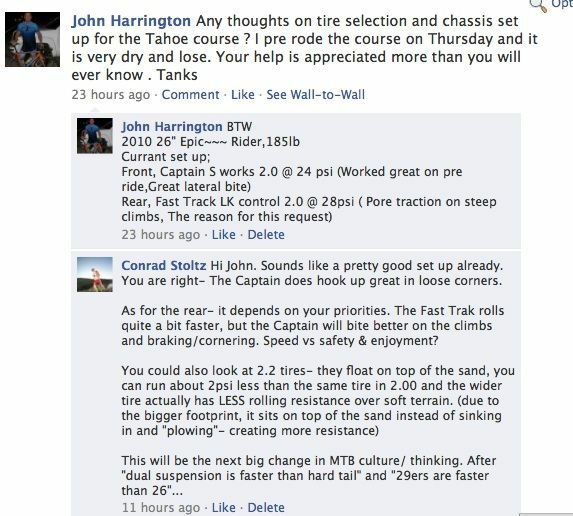 This is a quick post to explain to John Harrington (facebook discussion on 24 August ) about clipping tires. These Specialized Captain 2.00 tires clogged with mud at XTERRA Vermont in 2009 (Read more about the race, rotten foot and tire story here) Not knowing Vermont, I didnt bring real mud tires, so I had to make do, so I used a sharp wire cutter and clipped every 2nd knob out of the center line of knobs. 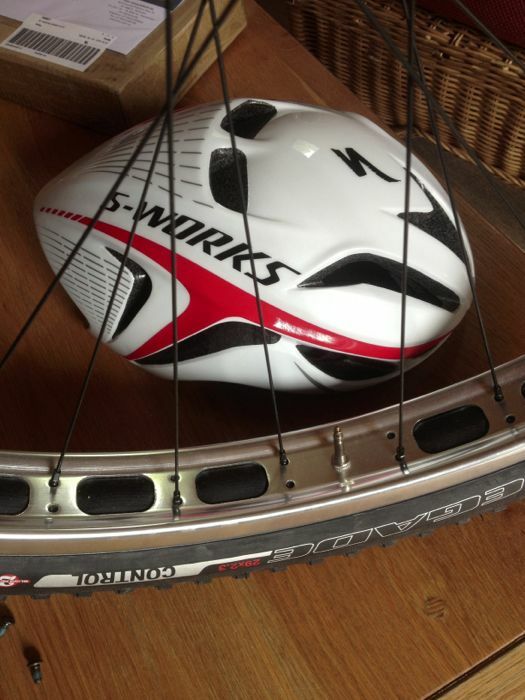 Which would help the mud shed (fling off) the tire easier when speed increase. 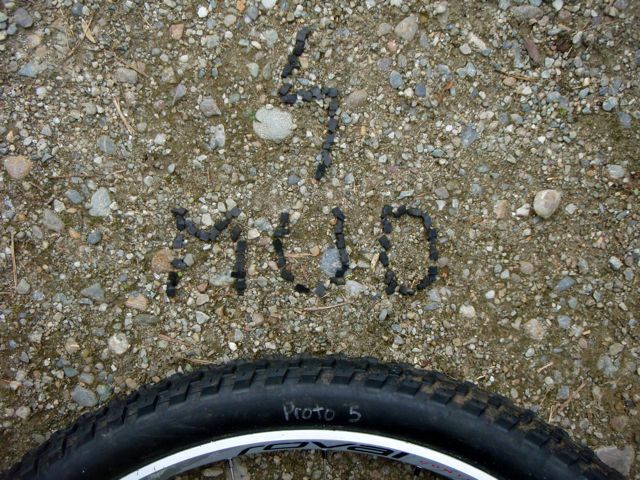 Real mud tires are narrow (sinks to the bottom of the mud where the real traction is) with few, but tall knobs. 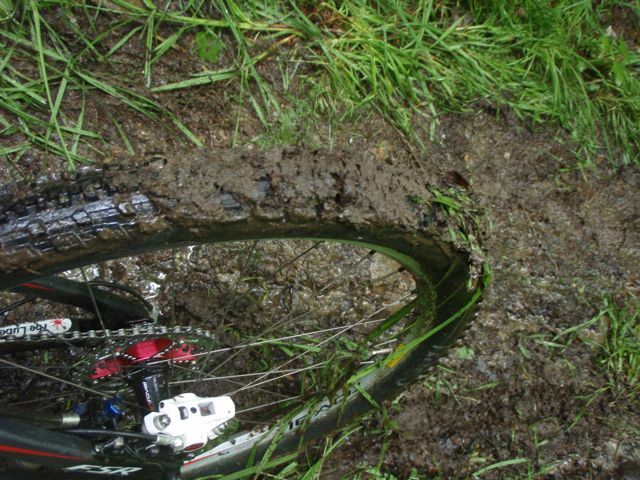 Tall knobs provide more grip (like paddles or spikes) and few because, too many knobs will let the mud pack onto the tire and make a thick sausage like the pic above. 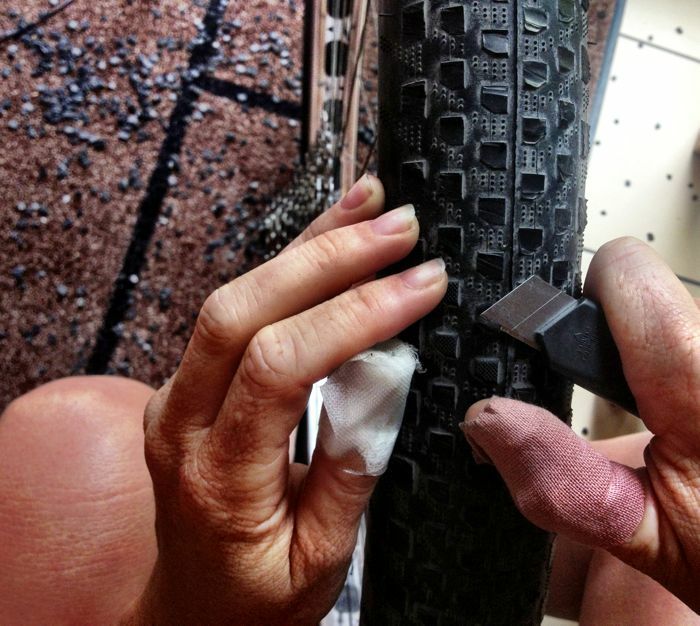 Downhill racers are famous for cutting tires to suit certain courses. 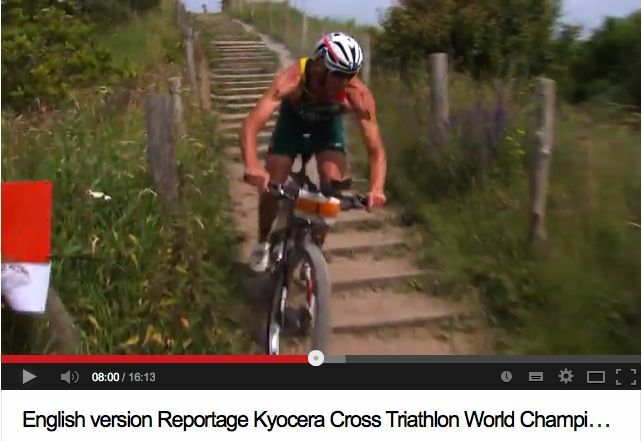 Off course, a rainy pre race taper allows for plenty of cutting time, so here is my product. 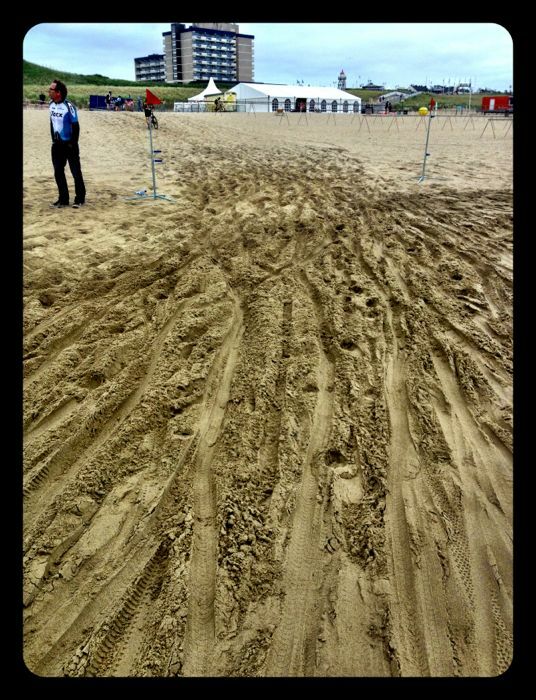 Cant see on the pic, I clipped every 2nd knob out of the center row of this Specialized Captain for better mud clearing. Of course, its a tedious job, it takes seemingly hours and 1 slight mishap and you can throw the tire in the garbage.